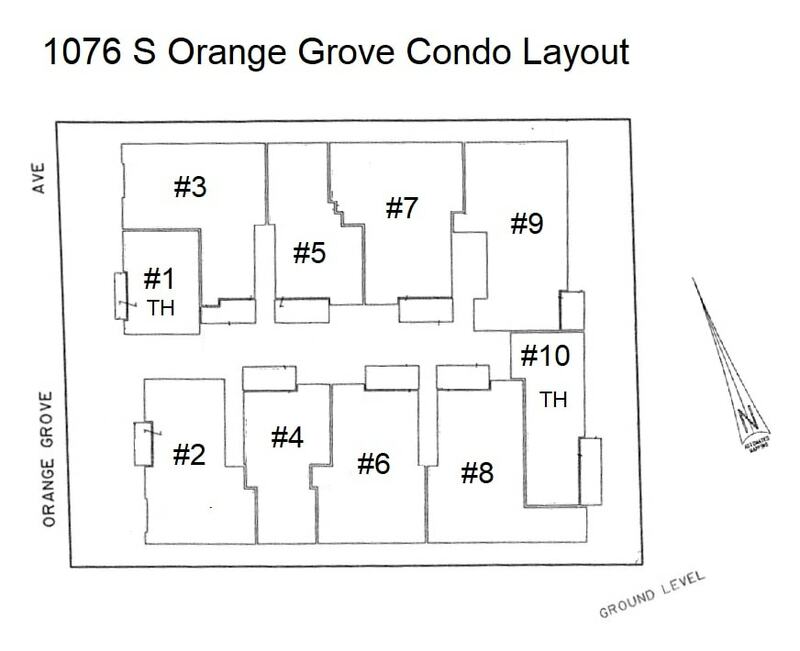 1076 S Orange Grove is an 18-unit newer construction condo in Miracle Mile. Built in 1991, the building has a Spanish design, with Saltillo tiles, mint green wrought iron gates, and balustrades. The condos are compact which keeps prices affordable. 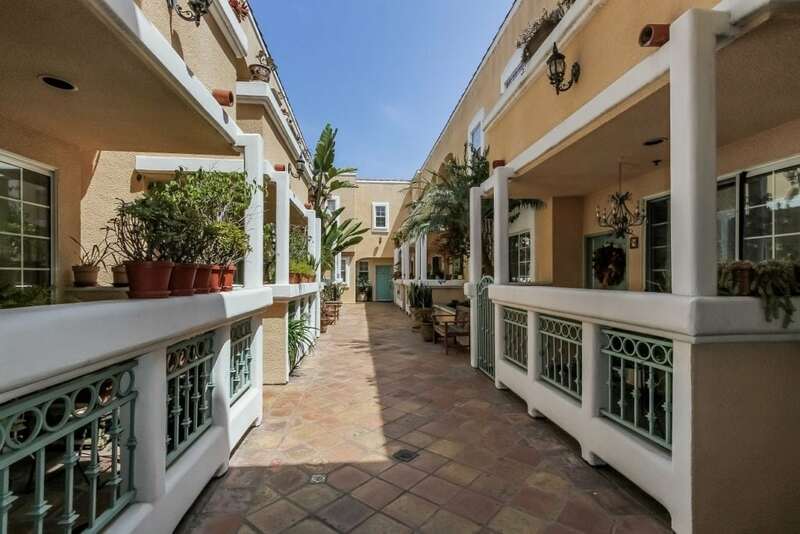 Every condo faces the courtyard, which lends itself to a sense of community and brings in natural light. This building has no amenities and low HOA dues and a convenient location. 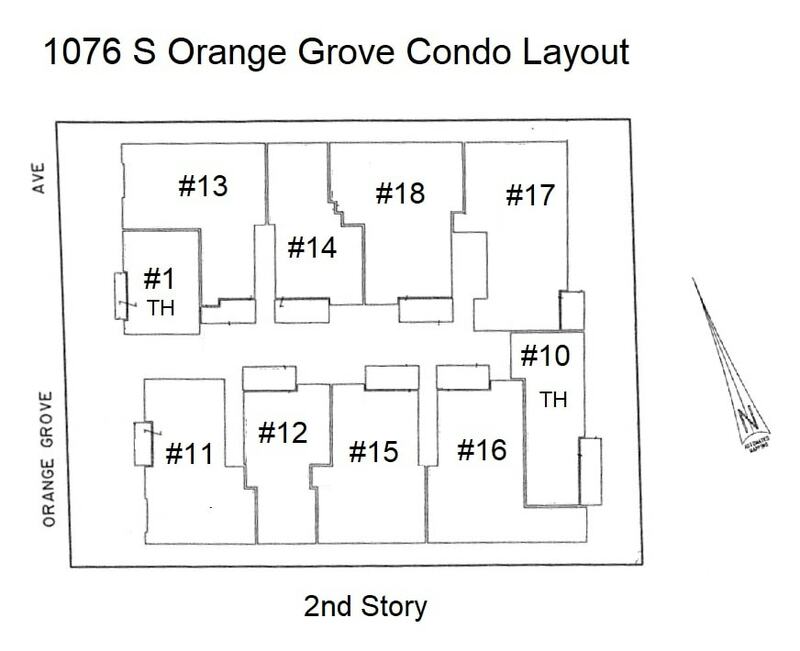 Floorplans in 1076 S Orange Grove are mostly single story except for #2 and #10 which are townhouse style. There are (4) 1 bedroom floorplans that are about 700 sqft (#4,#5,#12,#14) and the rest are 2 Bedrooms floorplans that range in Sqft from 900 to 1300 sqft. Condos 1,2,3,11, and 13 are street facing. Pricing for the 1 bedrooms is between $500,000 and $600,000. 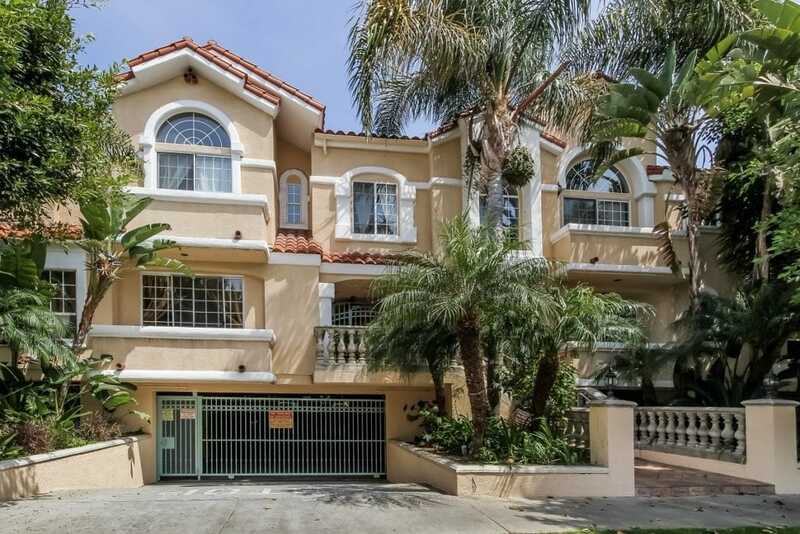 The 2 Bedrooms sell between $750,000 and $850,000. Each condo has a compact galley kitchen, a dining room that seats 4-6, and a medium-size living room. The windows are pretty big, so the condos get a good amount of light, and the way the building is designed every condo faces the courtyard. Living rooms have a gas fireplace with a traditional stone mantel. Hardwood flooring surfaces are allowed. Bathrooms have a single sink and a combined tub shower. 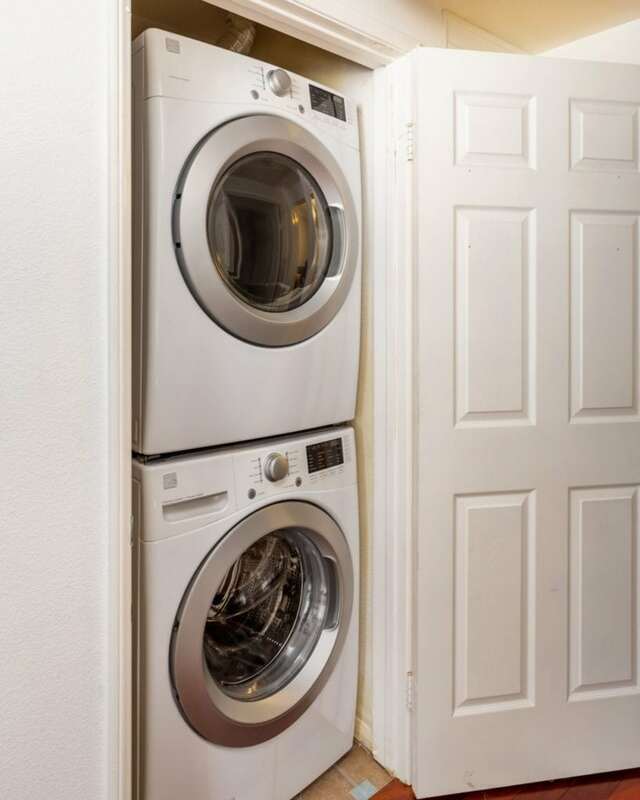 Each condo has in-unit laundry and Central HVAC. Condos on the first floor have large enclosed patios and condos on the second floor have balconies. Sorry, closet space isn’t amazing- no walk-in closet in the master, but nice size reach in closets. The condos have gas- so Kitchens have gas stoves, and laundry has a gas dryer. Every condo gets 2 parking spaces in a subterranean gated garage and there are 4 guest parking spaces in the building. There are storage lockers in the parking garage for additional storage. Laundry is inside the unit. There is a laundry closet in the hallway with spaces for a stacked washer dryer. Since the building has gas, it has a gas dryer. HOA dues Monthly Cost? $375/mo. Pet Policy? 2 pets maximum, – no weight restrictions.